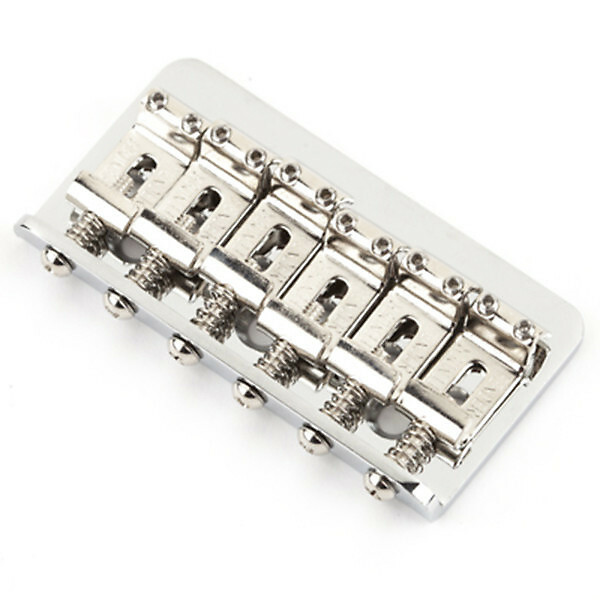 Hardtail bridge assembly used on Classic and Pawn Shop Series (Mexico) instruments. Includes six stamped saddles, intonation screws, springs, and saddle height adjustment screws. Does not include bridge mounting screws.